Cuba is a country where the clocks stopped for decades. The largest and most populous island in the Caribbean, Cuba’s 1959 socialist revolution and the subsequent US trade embargo has frozen the island in time. Vintage American cars still roar through the ramshackle streets of its cities, while horses and carts clatter through the countryside. Far from becoming the American neo-colony it once was, however, this proud nation, whose stature and influence within Latin America has long outweighed its small size, is holding on tight to what makes it so special. Salsa still runs through the veins of every Cuban; world-class ballerinas, baseball players, doctors, and engineers continue to work for a state salary ($30-50/ month); and the island’s pristine beaches and forest-covered mountains aren’t going anywhere. We strive to provide travelers with an authentic experience to remember, so we try to make our accommodations as unique and traditional as possible. In Cuba, we stay in casa particulars, which is basically a private home where you will be welcomed by friendly, local families, so you can be immersed in the cuisine and customs of the region. This has been part of the “Cuba experience” since 1997 when the Cuba government started allowing residents to rent rooms in their houses to tourists. All of our accommodations promise to be comfortable, quality experiences chosen for their location and character. Cuba’s subtropical climate is ideal for traveling, with most places catching the cool trade winds that blow from the coast, giving Cuba pleasant temperatures year round. June, July and August are usually the hottest months, the dry season runs from November to April and the wet season from May to October. Even in the rainy season, downpours areshort and heavy and shouldn’t hinder travel plans. Tropical storms and hurricanes are more prevalent in September and October but rarely cause problems for travelers. With Spanish, African and Creole influences, modern Cuba is home to a fascinating tapestry of cultural influences. 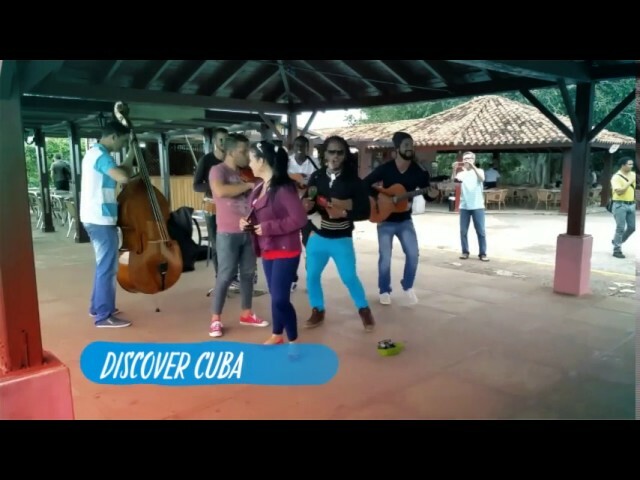 This is evident in the music, dance, and food that the charismatic Cuban people are happy to share with visitors. It’s well known that Cubans loves music and dance – with everything from Afro-Cuban rhythms to classic melodies permeating the atmosphere of clubs, bars, restaurants, and street corners. The modern arts are also embraced here, with ballet, modern dance and film also rising in popularity, so much so that Havana is now home to many internationally recognized film, literary and music festivals. Living in a Communist country means Cubans sometimes go without the luxury items that many Westerners take for granted. Despite this, special events like birthdays, holidays and marriages are celebrated with gusto, featuring special foods, music, and dance. This love of life is also evident in the street parties, festivals and fiestas that are celebrated throughout the year. Coffee, cigars, and rum are consumed freely and people dance with confident grace as the sound of trumpets and guitars fill the air. Visitors to Cuba will soon be enamored with this uniquely infectious way of life and culture, not seen anywhere else in the world. Cigar connoisseurs gather each year to celebrate their love of the best cigar in the world – the Habano. With tastings, visits to plantations and factories, master classes and cigar-rolling contests on offer, this festival will intrigue the curious and delight cigar enthusiasts. This island nation sitting in the Caribbean Sea is home to a diverse range of environments. From rolling hills to tobacco plantations, beaches, coral reefs and tropical rainforests, Cuba holds many of the regions plant and animal species. With more than 20% of the island covered with natural parks, there’s much biodiversity here, making it a great place for eco-adventures, hikes, snorkelling and diving. Cuba is probably the only country in the world that runs on a dual currency system, the Cuban peso (CUP) and the Cuban convertible peso (CUC). The Cuban Convertible Peso (CUC) is the main currency used by island visitors. It can only be obtained in Cuba and is worthless outside of Cuba. The purchasing power of the CUC is similar to that of the US dollar. The CUC is benchmarked to the US dollar at one-to-one. However, changing US dollars into CUC’s carries an additional 10% fee. This fee does not apply to other currencies, so it is suggested to bring Canadian dollars, Euros, GBP Sterling or Swiss francs — currencies for which there is no additional conversion fee. Travelers should carefully evaluate daily spending needs. It is better to take more money than you think necessary than to get caught short of funds. US credit and debit cards don’t yet work in Cuba. Take all the money you anticipate spending plus some extra (suggestion: $100/ day). If you plan to do a lot of shopping, double that amount. *Please be advised that slightly torn notes, notes that have been heavily marked or are faded may be difficult to exchange. It is best to bring notes in fairly good condition, in dominations lower than 100USD (or equivalent). You are advised NOT to change money on the street outside the airport. Reliable money exchange may only be done at Cadecas (change houses) or banks and some hotels. You should always calculate the exchange rate yourself before making the exchange and be sure to re-count it in front of the person who gave it to you. Make sure you also get a receipt. Some vendors may try to do a “switcheroo” and give you CUP’s instead of CUC’s (50 CUP’s is worth approximately 2 CUC’s). Be sure to take note of the bills you are receiving. CUP’s have images of Cuban leaders while CUC’s have images of monuments. Ask your guide to show you the difference. Cuban cigars can be found everywhere in Cuba, but some of the best cigars come straight from the farm. Cuban laws require that all farms are 100% organic with no use of machinery. The government takes 90% of each farmer’s crop to send to the factories, leaving the farmer with 10% for himself. When you get a cigar from the farm, you’ll not only be supporting local farmers, but they make for a great photo opp. The Jardines de la Reina (Gardens of the Queen) Marine Park, off the island’s southern coast, is considered among the most beautiful dive destination in all of the Caribbean. Since commercial fishing is not allowed within the park, the marine life here is prolific, with all manner of sea turtles and sharks (include reefs, hammerheads, black tips, leopards and silkies) to be seen. The best way to visit the area is on multi-day trips via liveaboard dive boats. See Buena Vista Social Club, Live! Yes, that Buena Vista Social Club. The band is still together and their performance is still as fun as ever. They perform regularly in Havana, so bring your dancing shoes because the band leader will know how to get you on your feet, with or without a mojito in hand. For those who are looking to stretch their legs, and take in some spectacular views, a hike to the summit of Pico Turquino may be just what the doctor ordered. The mountain is the tallest peak on the island, stretching 6,476 ft (1,973 meters) in the air. There are two routes to the top, both of which take 2-3 days to complete, depending on your level of fitness and how fast you want to hike. It is possible to climb the mountain at any time of the year, but for the best possible experience, try to go during the dry season between October and May. Cuba is literally a rolling car museum. Everywhere you look is a classic American car, ranging from Oldsmobile to Chevrolet, Buick to Ford. There’s even a few Russian Volgas thrown in the mix. It’s like one big car show, where autos from the 1940’s and 1950’s motor along the streets and highways. American cars were imported into Cuba for about 50 years, beginning near the early 20th century. After the Cuban Revolution, the US embargo was erected and Castro banned the importation of American cars and mechanical parts. That’s why Cuba is the way it is today — essentially a living museum for classic cars. Music and dance have always been a crucial part of the Cuban culture. To Cubans, a party isn’t complete without music and dance and salsa is usually the go-to. Taking a salsa dancing lesson is a must do if you want to fit in with the locals. Cuba is well known for being a great spot for snorkeling. At the Bay of Pigs, there is a wide range of coral and several species of fish. In addition, the water is warm and crystal clear with visibility reaching up to 65 ft (20 meters). Whether you’re a complete beginner or an experienced snorkeler, you’ll find plenty to love in the waters just offshore. There are several spots for ziplining in Cuba, but our favorite is in the Vinales Valley. Get a bird’s eye view of one of Cuba’s most spectacular landscapes, accessed by a forest canopy of zipline connecting 8 elevated platforms. Be considerate of Cuba’s customs, traditions, religion, and culture. Stacey did a great job organizing everything. It was worry free. I just showed up. Plus, our local guide (Carlos) couldn’t have been more knowledgeable and friendly. And, the itinerary was a great mix of fun time, free time and historical sightseeing. Trinidad was the most pleasant; the horseback riding was wonderful. Our guide was so much fun! I learned so much from him and really enjoyed getting to know him and his country. This was my second trip with Adventure People. The first was to Iceland! My favorite trip moment in Cuba was the tobacco Farm, horseback riding, lunch at the organic farm, riding in the classic cars, the Cigar Factory tour, and Trinidad. Stacey is very organized, so as a traveler you can kick back and enjoy the experience w/o thinking and planning. Favorite trip moment? So many! The Classic car tour, Ziplining, bike riding in Vinales, and the Roof Top Dinner! Tourists of most nationalities require a ‘Tourist Card’ which is similar to a tourist visa. These can be obtained directly from Cuban embassies and consulates. If you are an American citizen, American permanent resident, or hold any type of American passport, and are considering traveling to Cuba, please refer to the US Department of State Bureau of Consular Affairs website – travel.state.gov – for the latest advice. You can also purchase cards in advance through www.cubavisas.com or http://cubatravelservices.com/plan-your-trip/visas/. Depending on the airline you are traveling with to Cuba, you may also be able to purchase the tourist card at the airport from the airline on the day of your departure – please check with your airline. Yes. To enter Cuba all travelers are required to have Travel Medical Insurance. The insurance coverage is from the moment you arrive in the Republic of Cuba until you leave the country. For flights arriving from the US, the mandatory insurance is usually included with your flight cost. There is also the option to purchase through the local provider (Asistur) at the Havana Airport, prior to clearing customs. The insurance required by Cuba covers the bare minimum for medical expenses. When traveling with Adventure People, additional insurance with a minimum of $200,000USD to provide coverage of medical expenses including repatriation and emergency rescue is mandatory to participate in any of our trips. We also recommend that you purchase trip interruption insurance. Some credit card companies offer travel insurance, but proof of coverage will be required. Contact your provider for details. We recommend that you check your government’s advice for the latest travel information before departure. Cuba is considered among one of the safest countries in the world with a very low crime rate. The security environment is relatively stable and characterized by a strong military and police presence throughout the country. Travelers should always act with precaution with personal items: do not leave things unattended; don’t wear expensive jewelry; keep cameras and handbags secure to your person at all times. Demonstrations aren’t frequent and have been peaceful in nature, but U.S. citizens should avoid all demonstrations. Participating in adventure activities and water-based activities have an element of danger and excitement built into them. We recommend only participating in activities when accompanied by a guide(s). We make every reasonable effort to ensure the fun and adventurous element of any of our planned activities, and we take all prudent measures in relation to your safety, but please use your own good judgment. Participating in adventurous activities is always at your own risk. It is customary in Latin America to tip service providers such as waiters, tour guides, bus drivers, taxi drivers, and musicians. Feel good about tipping. There is almost always free entertainment in bars and restaurants; the musicians and singers are usually not paid by the venue so we encourage you to tip when you have enjoyed the performance or background rhythms. Tipping is an expected — though not compulsory — component of your trip and an expression of satisfaction with the persons who have assisted you, but be sure to tip in Cuban pesos as foreign currency isn’t easily exchanged in Cuba. Below are the suggested tip amounts. You can always give more if you are feeling generous. Tour guide 3.00 to 5.00 CUC per day per person. Tour bus driver 1.00 CUC per day per person. Casa Particular Hosts 1.50 CUC per day per person. Museum guides and special guides 1.00 CUC per person. Taxi drivers 10% of fare. Musicians at restaurants 1.00 to 2.00 CUC per person. Internet access isn’t widespread throughout Cuba but availability is increasing. The internet can sometimes be accessed from larger hotels, and most recently the main square of most cities now have WiFi accessibility. You will need to purchase an internet card from certain hotels and outlets to sign on to the internet in any location. Please note that the connection may be slow, some websites may be censored and the cost is typically high. Public toilets are available in hotels, bars and restaurants. Bring your own toilet paper as these are rarely provided. Due to the import restrictions, toilet seats can be in high demand so casa particulars may not have this luxury. It’s not advisable to drink water from the tap in Cuba. For environmental reasons, try to avoid buying bottled water. Fill a reusable water bottle or canteen with filtered water. It’s also advisable to avoid ice in drinks and peel fruit and vegetables before eating. Some credit cards are accepted in Cuba (Visa and Mastercard are usually more widely accepted), however, cards linked to US banking institutions won’t be accepted. Debit cards (even Visa debit) generally don’t work either. The Cuban Convertible Peso (CUC) is the main currency used by island visitors. It can only be obtained in Cuba and is worthless outside of Cuba. The purchasing power of the CUC is similar to that of the US dollar. The CUC is benchmarked to the US dollar at one-to-one. However, changing US dollars into CUC’s carries an additional 10% fee. This fee does not apply to other currencies, so it is suggested to bring Canadian dollars, Euros, GBP Sterling or Swiss francs — currencies for which there is no additional conversion fee. How is the shopping in Cuba and what can I bring home? Cuba has a keen appreciation of the fine arts, so it’s not hard to find unique artworks by up-and-coming Cuban artists being sold at galleries and markets. Should you purchase artwork, there is a 3CUC fee at the airport to carry-on your paintings, but shipping is free. Souvenirs and touristy handicrafts are not considered works of art. Original works of contemporary art require an export seal or export permission letter to exit the country. This documentation is provided by the artist or gallery. The cliché is true – cigars are everywhere in Cuba. Be sure to buy authentic cigars from authorized sellers, as fakes are common. Purchasing straight from the factory is usually best. There is no longer a limit on the amount of Cuban cigars and rum you can bring back to the US, as long as it is for personal consumption only. That means you can’t import and sell Cuban cigars and rum in the US. Normal limits on duty and tax exemption will apply, just as they do with any other country. The forbidden fruit of Cuba isn’t cigars, it’s rum. Americans have been fascinated with Cuban rum for centuries. Soldiers first got a taste of it while fighting the Spanish-American War on Cuban soil. During Prohibition, wealthy Americans chartered private flights to wet Havana to sip rum on the weekends. And of course, there’s the mythical lure of Ernest Hemingway, who spent the mid-20th-century drinking daiquiris in Cuba’s cocktail mecca. But for the past 50 years, the U.S. has enforced import restrictions on the communist nation. American liquor stores cannot sell Cuban rum, and bars cannot sell drinks made from it. However, travelers are now allowed bring back as much as they can fit in their suitcase, as long as it is for personal consumption. So, what kind of rum should you buy? The 3-year-old rum that Cubans mix into mojitos is clear and relatively cheap, about $7 per bottle. Cuba’s finer sipping rum, aged 7 years, runs about $20 per bottle. It’s even better maestro class runs about $40 per bottle. There are a dozen classes of even nicer rum. The most expensive is Havana Club’s “Maximio” which goes for $1,700 a bottle. With such a rich, musical heritage, Cuba is a great place to pick up a hand-crafted musical instrument or a CD from a local musician. For travelers from the US, how do I know which OFAC category to apply under? The U.S. Department of the Treasury’s Office of Foreign Assets Control (OFAC) has issued general licenses within the 12 categories of authorized travel for many travel-related transactions to, from, or within Cuba that previously required a specific license (i.e., an application and a case-by-case determination). Travel-related transactions are permitted by general license for certain travel related to the following activities, subject to criteria and conditions in each general license: family visits; official business of the U.S. government, foreign governments, and certain intergovernmental organizations; journalistic activity; professional research and professional meetings; educational activities; religious activities; public performances, clinics, workshops, athletic and other competitions, and exhibitions; support for the Cuban people; humanitarian projects; activities of private foundations or research or educational institutes; exportation, importation, or transmission of information or information materials; and certain authorized export transactions. Close relatives are also now allowed to visit or accompany authorized travelers for certain activities. No further permission from OFAC is required to engage in transactions covered by a general license. When traveling with Adventure People, you will be traveling under the support for the Cuban people category. (2) The traveler’s schedule of activities does not include free time or recreation in excess of that consistent with a full-time schedule. Note to § 515.574(a): Each person relying on the general authorization in this paragraph must retain specific records related to the authorized travel transactions. See §§ 501.601 and 501.602 of this chapter for applicable recordkeeping and reporting requirements. (b) An entire group does not qualify for the general license in paragraph (a) of this section merely because some members of the group qualify individually. (c) Specific licenses. Specific licenses may be issued on a case-by-case basis authorizing the travel-related transactions set forth in § 515.560(c) and such other transactions as are related to support for the Cuban people that do not qualify for the general license under paragraph (a) of this section. You can find detailed information on vaccinations and other health precautions on the CDC website and http://travel.state.gov/content/passports/en/country/cuba.html. For information about outbreaks of infectious diseases abroad, consult the World Health Organization (WHO) website, which contains additional health information for travelers, including detailed country-specific health information. You should always consult your physician for up-to-date medical travel information well before departure. We recommend that you carry a First-Aid kit and hand sanitizers/ antibacterial wipes as well as any personal medical requirements. Tap water in Cuba is generally safe, but it is recommended that you drink bottled water. Medical care in Cuba typically does not meet U.S. standards. While medical professionals are generally competent, many health facilities face shortages of medical supplies and bed space. Many medications are unavailable, so travelers to Cuba should bring with them any prescribed medicine in its original container and in amounts commensurate with personal use. Travelers may also wish to consider bringing small additional amounts of prescribed medicines and over-the-counter remedies in the event that a return to the United States is delayed for unforeseen reasons. A copy of the prescription and a letter from the prescribing physician explaining the need for prescription drugs may facilitate their entry into the country. Travelers to the Havana area should be aware that the U.S. and other foreign visitors seeking medical care are generally referred to the “tourist” Cira Garcia Hospital located in the Miramar neighborhood of Havana. Medical consultations and treatment at Cira Garcia require payment in cash in Cuban convertible pesos (CUC) or by credit card issued by a non-U.S. bank (see section on Medical Insurance below). Diarrheal illness is common among travelers, even in those staying in luxury accommodations. Travelers can diminish diarrhea risk through the scrupulous washing of hands and the use of hand sanitizers, especially before food preparation and eating. The greatest risk of traveler’s diarrhea is from contaminated food. Choose foods and beverages carefully to lower your risk (see the CDC Food & Water Safety website). Eat only food that is cooked and served hot; avoid food that has been sitting out on a buffet. Eat raw fruits and vegetables only if you have washed them in clean water or peeled them. Drink only beverages from factory-sealed containers, and avoid ice because it may have been made from unclean water. Should I bring gifts for the local people? Cubans welcome gifts, however small. Gift giving is an island custom. Donations for schools. The most needed are pens, calculators, pencils, erasers, memory sticks, candles, flashlights, markers, note pads, stuffed animals, games, dolls, toy trucks and cars. Also appreciated is toothpaste, toothbrushes, soap, shampoo and good quality used clothing and shoes. Baseball bats, balls and gloves are very popular. Do not distribute donations on the street. Your guide will suggest schools and institutions in need. Personal gifts. While on your tour, you’ll make many new friends. Consider small gifts such as aspirin, multiple vitamins, makeup, manicure and sewing kits, perfume, chocolate, watches, wallets, keychains, purses, scarves, jewelry, pen sets and other things that you yourself would like. Bringing “donations” to Cuba. When arriving to Cuba, if you are asked about items you intend to leave behind by Cuban customs, it is best to describe them as gifts. For example, if your luggage is searched and you are questioned as to why you’re bringing 100 pencils (for example), say, “they are for friends” and leave it at that. The word donation raises concerns because, in the past, bad people have brought harmful things into Cuba as donations. In the unlikely event your gifts are confiscated rest assured they’ll be distributed to Cubans most in need. Luggage inspections rarely happen unless your bags exceed weight limits, or you bring prohibited items. There are no public laundry facilities in Cuba. If you need laundry services, ask your casa particular host. They’ll give you costs and instructions for this service. Generally, the cost is between 6-8CUC for a shopping bag of clothes. Do I need to bring a plug adapter? Cuba uses types A, B, C, and L plug outlets. The norm is 110-230V, 60Hz, American-style flat two-pin 110V.